We've got today's Intel's Core i7 launch covered. Totally and utterly. So let's start with our complete guide to everything i7. We've told the full story of Intel's latest processor, detailing its strengths, weaknesses and giving you our expert opinion on whether you should buy it. We've also got a full, exclusive review of the fastest PC in the world, featuring the Intel Core i7-965 Extreme Edition and a whole lot of other top hardware besides. And, what's more, you can win one, too. We've also reviewed the Core i7 chip on its lonesome, too and benchmarked it to the hilt alongside our colleagues at PC Plus and PC Format magazines – you can even download a PDF of the benchmarks! 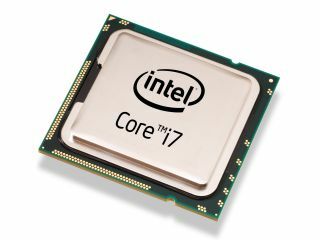 PC Plus columnist Jeremy Laird also reveals why he thinks Core i7 is "the absolute bomb", but warns that Intel must guard against complacency. We've also taken a look at what Intel will do next and explore the corporation's plans for the coming generations of processors, as well as looking forward to the more affordable editions of Core i7 that will take a bow early in 2009.